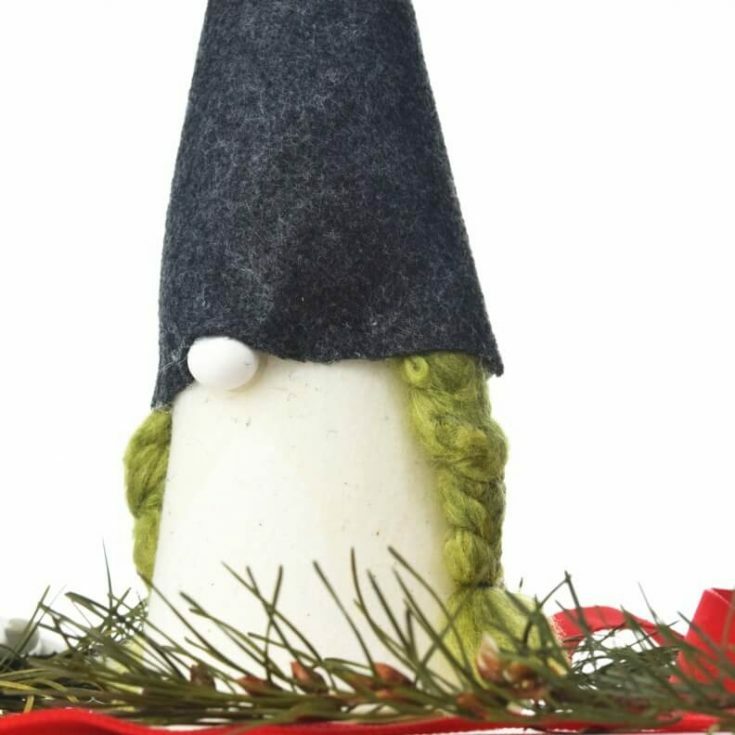 You can make this adorable, easy DIY Scandinavian gnome with braids in no time at all. And you won’t even need faux fur! We have been creating a little gnome family for this year’s holiday decorations. We started with a little gnome made from rice, moved onto the male Scandinavian gnome, and today, I’m sharing the most adorable girl gnome with braids. I tried using the faux fur as braids by cutting it into thin strips. It braided well, but the short fur just went everywhere. It did not look like a braid. I remembered our experiment brushing yarn for our DIY troll dolls and decided to try that. It worked! This is the yarn we used for the braids but I’m sure you can use any that have a fuzzy-like quality. 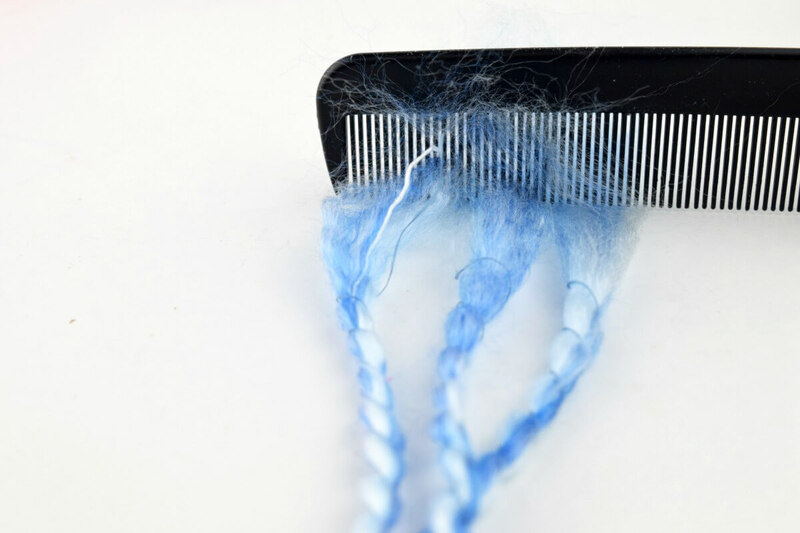 To get the appearance of hair or faux fur, brush the yarn with a comb. Brush as much as will make about a 2-inch ball (not compressed) for each strand of each braid. 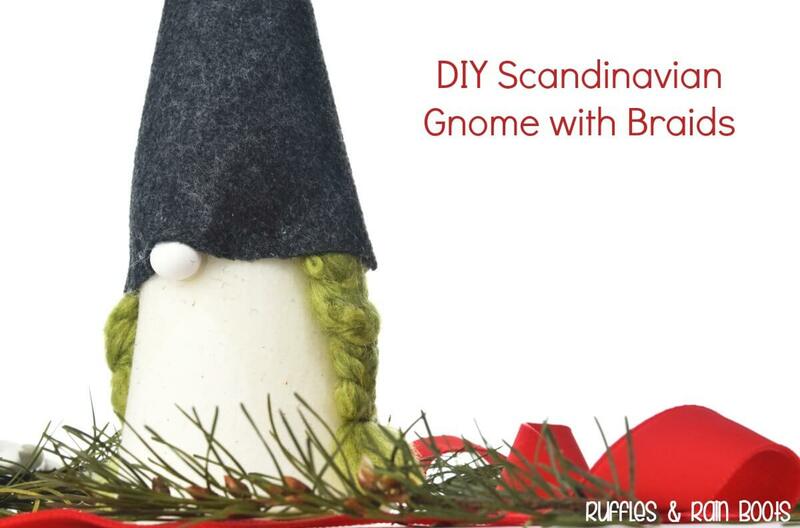 You need six (6) 2-inch balls for this sized DIY Scandinavian gnome. 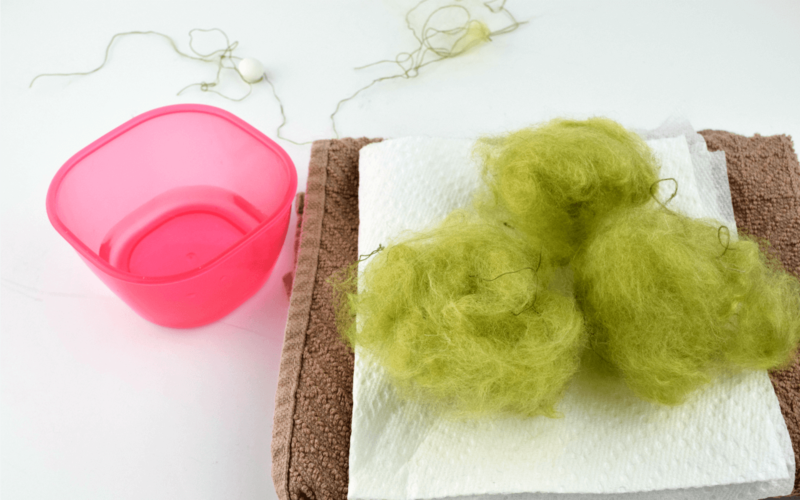 With one ball of fuzz at a time, add a little water and roll the ball in between flattened pams. You won’t need much water and you can pull any errant strings that won’t stay in the roll. Once you have three rolls, braid them as you would hair. When you reach the end, you can pull out some of the yarn to thin the braid for a more natural look. Using a couple of the errant strings I pulled from the yarn rolls, I tied off one end (the skinny one) and then the other. The one at the top of the braid shouldn’t be pulled too tight. Once the braids were done, it’s time to fire up the hot glue gun! Cover the cone with muslin and hot glue to affix. Then, attach the braids with a dab of hot glue at the top. Cut a rounded triangle (detailed in this gnome tutorial) and create the tip of the cone only. We’re going to create a custom-fit hat for our girl gnome. Next, we’re going to wrap the hat snugly (but not too tightly) around the body of the cone. The hat should not flatten the braids. 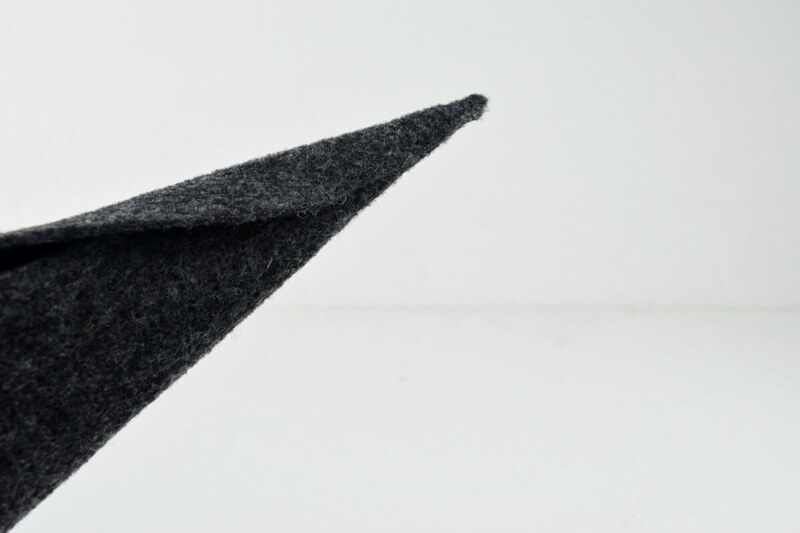 Once you have it positioned, use a pin to hold the felt in place. We’ll come back to it. 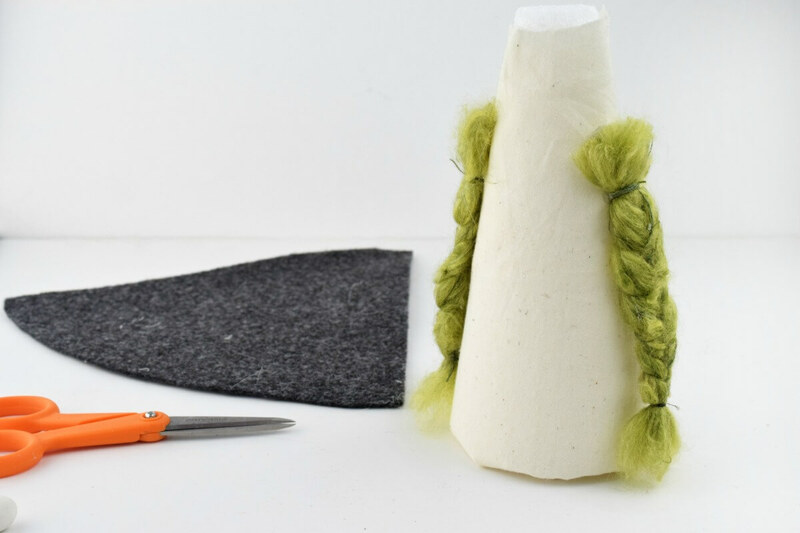 Lie down your adorable DIY Scandinavian gnome (with those fabulous braids) and position the nose with a little dab of hot glue. 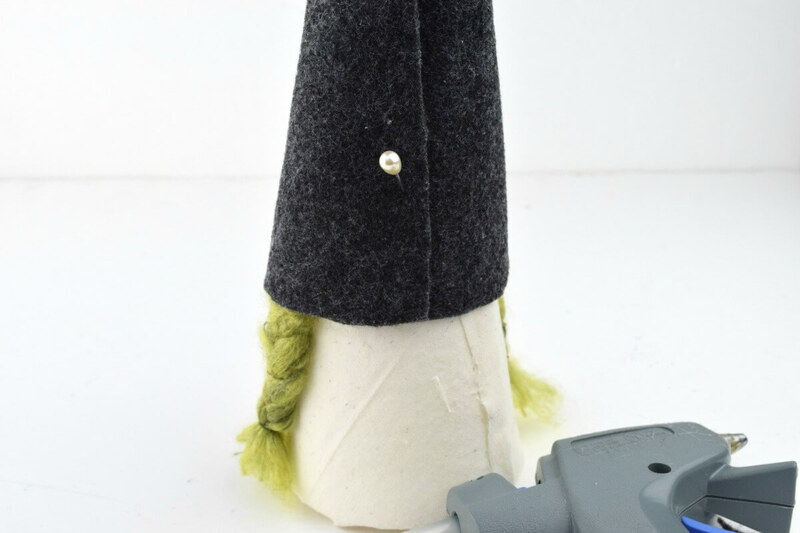 You can also choose to glue down the front of the hat to the top of the nose (to give it a little character). 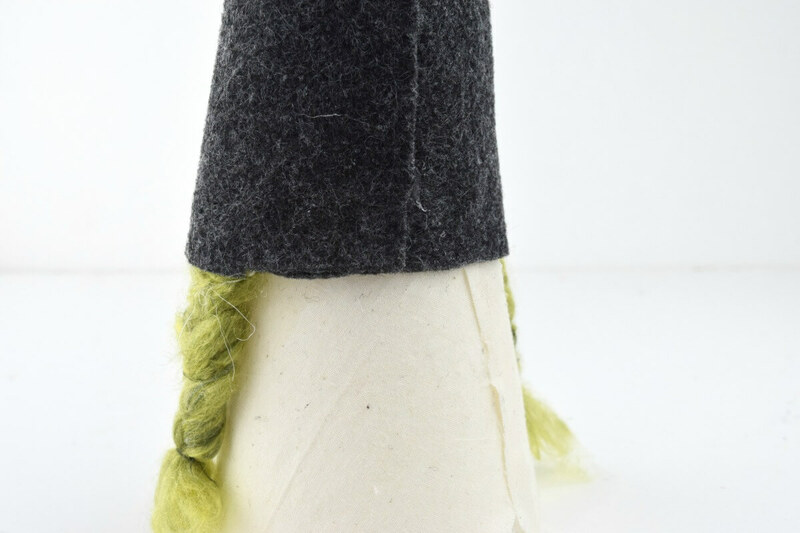 Once the nose is on, stand your gnome up and glue the back of the hat pieces together. Note: if you’re a bit detail-oriented, make sure to line up the seams. Oops. 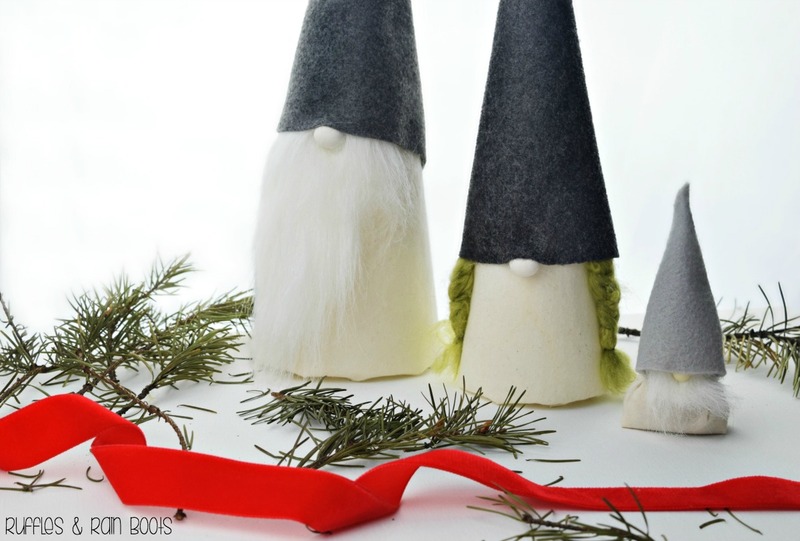 You can make this adorable, easy DIY Scandinavian gnome with braids in no time at all. And you won't even need faux fur! 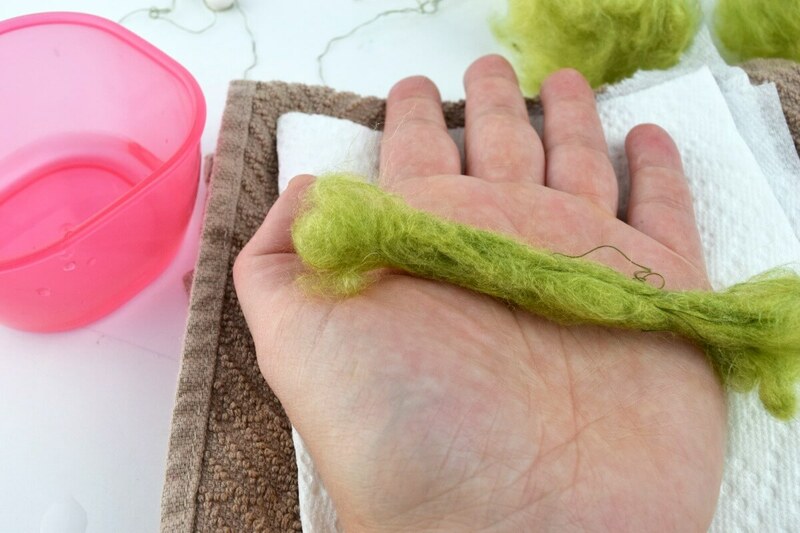 With one ball of fuzz at a time, add a little water and roll the ball in between flattened pams. You won't need much water and you can pull any errant strings that won't stay in the roll. Using a couple of the errant strings I pulled from the yarn rolls, I tied off one end (the skinny one) and then the other. The one at the top of the braid shouldn't be pulled too tight. Cut a rounded triangle (detailed in this gnome tutorial) and create the tip of the cone only. We're going to create a custom-fit hat for our girl gnome. Next, we're going to wrap the hat snugly (but not too tightly) around the body of the cone. The hat should not flatten the braids. 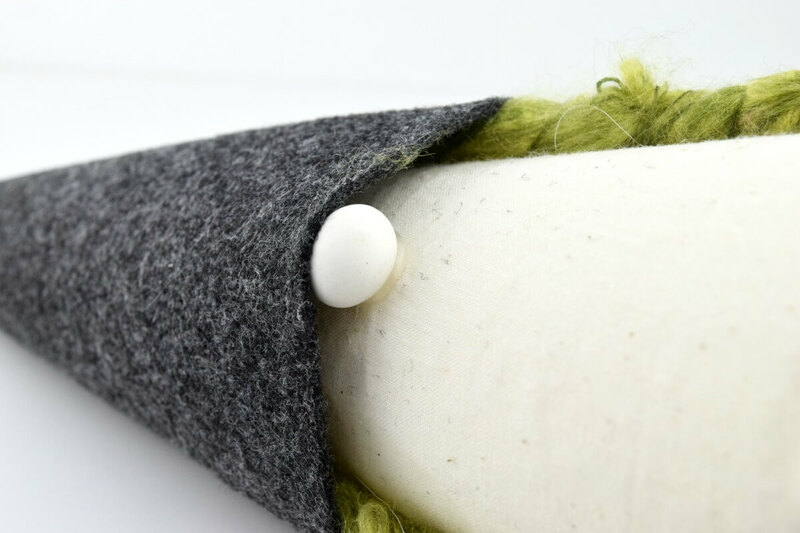 Once you have it positioned, use a pin to hold the felt in place. We'll come back to it. For the nose, I used a clay piece we'd made and stored. There you have it – your DIY Scandinavian gnome with braids is all done! Be sure to make her some friends like our Christmas Gnome or the adorable easy gnome made with rice.